With his brief and youthful career, Jimmy Gunn was a rising star in the last days of professional lacrosse. The Vancouver Daily Province observed that Young Gunn, in his professional debut match in 1922, was “…one of the fastest fielders seen on the home [midfield] in many moons”, who possessed an accurate outlet in moving the ball near the vicinity of the opposing goalkeeper. 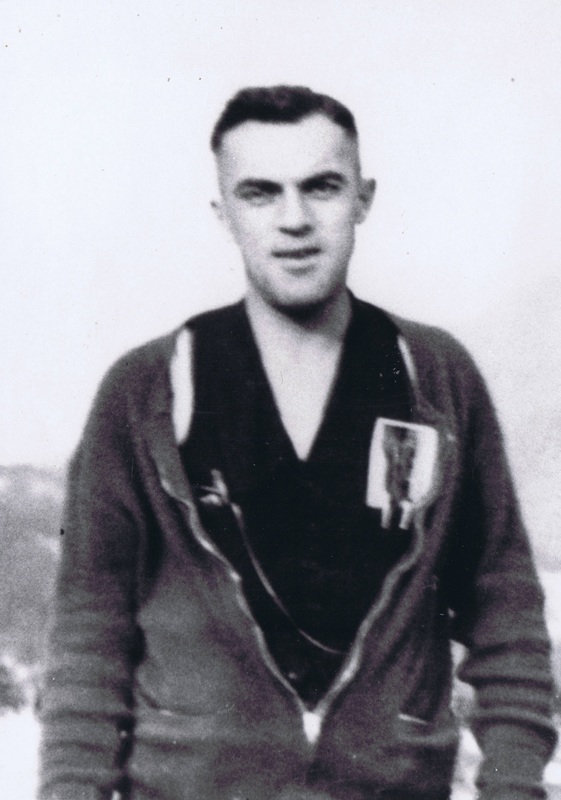 Gunn played 30 games over two seasons with the Vancouver Terminals before signing with his hometown team in 1924. He played in all 4 of the New Westminster Salmonbellies’ games that last season before professional lacrosse died in June 1924. He scored a career total of 17 goals and 2 assists for 19 points; he was penalised 7 times for a total of 41 minutes. Prior to his three years as a professional player, Jimmy Gunn played with the New Westminster seniors between 1919 and 1921 and winning the Mann Cup twice during his tenure with the Royal City amateurs. One can only guess what kind of star on the midfield he would have become if the professional game hadn’t died so suddenly – when Jimmy Gunn was still 26 years young. He was inducted into the Canadian Lacrosse Hall of Fame as a field player in 1972 although at the end of his day he probably had more fame as a referee – officiating for 32 years and writing a referee manual for the Canadian Lacrosse Association which saw widespread distribution. He was also at some point, during his time around the game, the president of women’s lacrosse. In 1969 the British Columbia Lacrosse Association named their outstanding referee achievement award after him – with awards handed out on an annual basis to the top senior and minor referees with field referees added to the class starting in 1998. Candidates for the Jimmy Gunn Merit Award are judged on their achievements toward promoting sportsmanship and the image of the game.